Contrary to popular belief, tomatoes have been grown as a food since the 16th century, though they have in various times and places been regarded as both poisonous and decorative plants. The Italian name for the tomato is pomodoro, meaning “apple of love” or “golden apple,” because the first to reach Europe were yellow varieties. Tomatoes were not cultivated in North America until the 1700s, and then only in home gardens. In colonial America (1620-1763), tomatoes were thought to be poisonous and were grown as an ornamental plant called the “love apple.” The odor of the leaves made people think it was poisonous. Actually tomatoes are very healthy. According to several studies, eating tomatoes and tomato-based products, as well as cooked and canned varieties, reduced the risk of several cancers, including prostate, lung and stomach. Other evidence found benefits for pancreatic, colorectal, esophageal, cervical, and breast cancers. Preheat the oven to 400 F. Toss together the tomatoes, 1/4 cup olive oil, salt and pepper. Spread the tomatoes in 1 layer on a baking sheet and roast for 45 min. 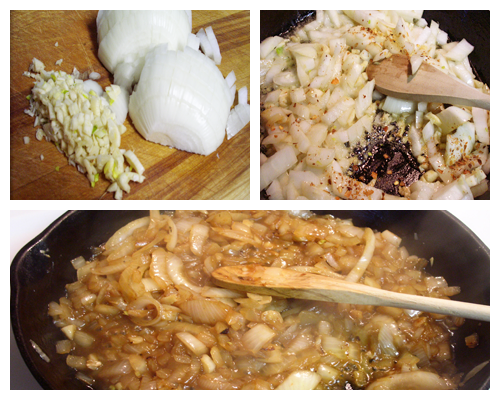 Saute onion, garlic and red pepper flakes in 2 tbsp olive oil and butter, till slightly brown. 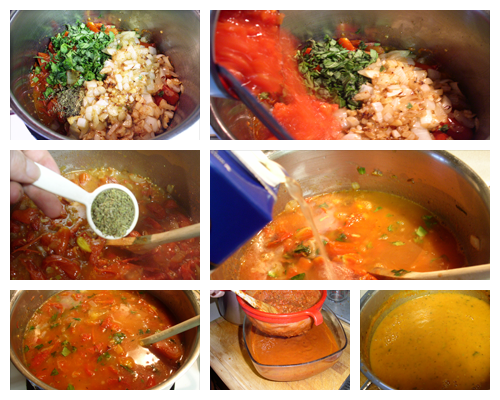 Add the canned tomatoes, basil, thyme and chicken broth. Add the oven roasted tomatoes including the juice. Bring to a boil and simmer uncovered for 40 min. 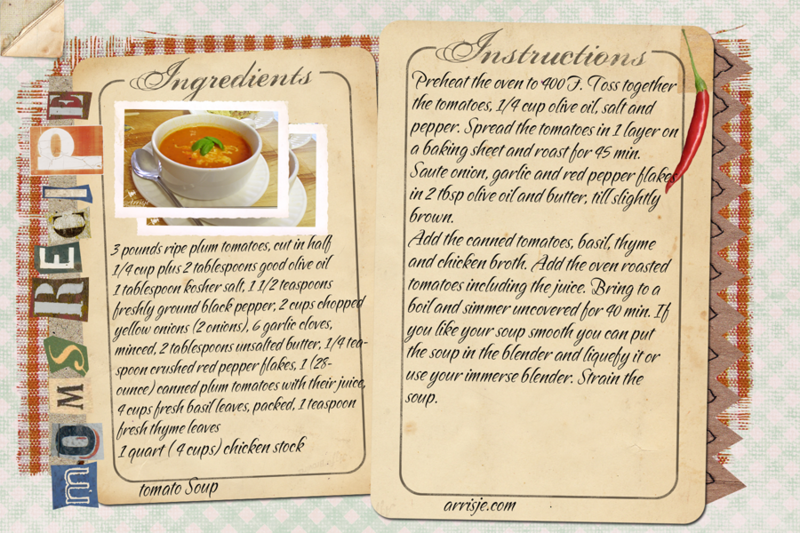 If you like your soup smooth you can put the soup in the blender and liquefy it or use your immerse blender. Strain the soup. 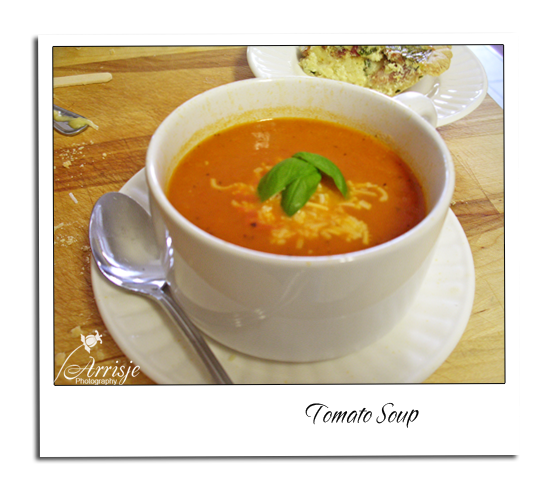 Preheat the oven to 400 F. Toss together the tomatoes, ¼ cup olive oil, salt and pepper. 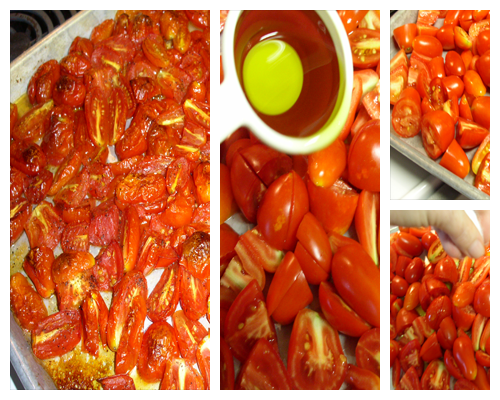 Spread the tomatoes in 1 layer on a baking sheet and roast for 45 min.